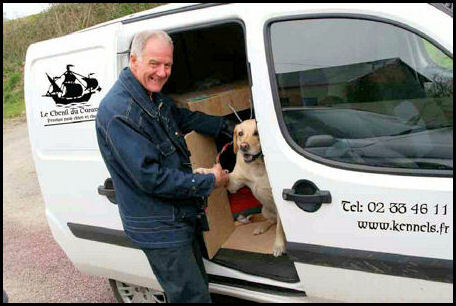 Our core business is clearly the care of dogs and cats in northwest France, but in response to demand, our expertise is increasingly being called upon in respect of the transport and re-location of pets throughout Europe and indeed, the world. 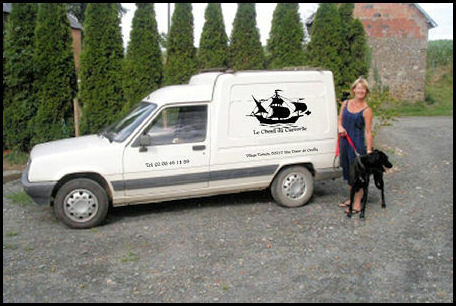 With the opening of European borders, the expansion of the European Union, and the globalisation of commerce requiring people to re-locate much more frequently in pursuit of their professional commitments, there is a natural desire within any family that when the family move, it will be the whole family that does so, including its four legged members. We are ideally placed to assist in this area. 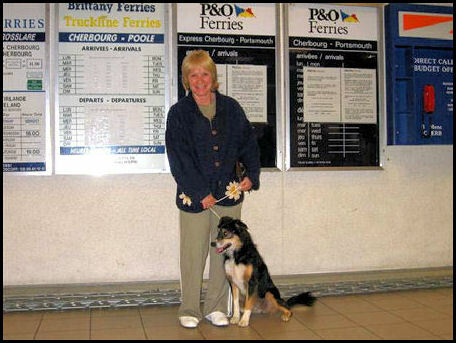 Whether it be the collection of a pet from a major airport here in France for onward transportation (either to our unit here for eventual re-patriation to the UK/Eire, or to a new home in France), or an outward journey to some far flung corner of the world, we can assist. We have expert knowledge of what is required, and can either advise you as to what steps you need to take (and those requirements can sometime appear totally overwhelming for the uninitiated) or make all the bookings and arrangements for you, including the preparation of all the paperwork and licences that will be required. Take a look at the UK Quarantine page for details of how we may be able to help you if you are moving to/returning to the United Kingdom or Republic of Ireland, and how we are able to avoid the isolation of quarantine for your loved one. We can, of course, collect our guests from wherever they may be coming in Europe, or meet them at CDG, then, at the end of their vacation with us, deliver them to their new home in a stress free and relaxed manner. Alternatively, if you have a four legged family member arriving at Charles de Gaulle Airport that requires onward passage to his/her final destination, let us do the driving! European transport is in our own vehicles. Finally, we can either arrange long haul travel for your four legged family member, accompany if required, or advise you as to what steps you need to take. Our database is extensive and we have worked with clients in most parts of the world, but if your requirements take us somewhere new, we will do all the research for you, and are well versed in doing so professionally, and successfully. We’ve not moved a yak to Outer Mongolia, or a moose to Seattle (sleepless or otherwise!) – but we relish the opportunity of being of service in a new part of the globe! Call or mail with your requirements and let us do the leg work!